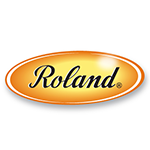 Roland | Favorite Foods, Inc.
Roland Foods imports more than 1,500 products from North America, South America, Europe, North Africa, the Middle East and Asia. Behind those hundreds of products are countless people and partnerships—Roland’s clients, employees, producers and suppliers the world over. Roland Foods was founded in France in 1934 by German couple, Bruno and Suzanne Scheidt, and moved to the U.S. six years later. As the company has grown over the years, we’ve continued to prioritize the Scheidts’ founding principle: to create and sustain relationships with families and producers around the globe. Our company’s evolution has centered on our loyalty to these relationships and to exploring our own culinary curiosity. We know the transformative value of food in individual lives and communities. Because of this, we insist on obtaining the highest-quality ingredients from knowledgeable suppliers, whom we consider and care for as precious resources. Though our business model has evolved in order to serve the needs of today’s customers, our mission and our values remain the same. We understand that community is built around the table, and we believe in the power of food to open minds, spark adventure and bring diverse people together. We are passionate about food, and dedicated to the people who grow, make, serve and eat it. We are committed to setting high standards in our industry when it comes to food safety, product quality and supplier accountability, and we bring our best selves to every business decision and personal interaction. We assume positive intent, and we intervene immediately if we sense that ethics or safety is compromised. We take smart risks; adapt quickly and always keep moving forward. We strive to reach further, do better, offer more, and proudly carry our history and heritage into the future. Honoring our relationships and serving our customers remains our highest motivation, and we bring expertise and empathy to our role. We earn and extend respect, understanding that it takes many different perspectives to create success. We are energized by our work in the world of food—the discovery of ingredients, the combinations of flavors, the sharing of recipes, the stories of our growers and the success of our customers. We care for our customers, our coworkers and our community, and believe in rising to meet the needs of this extended Roland Foods family. We also believe in having fun, celebrating successes and making time for each other. We understand that community is built around the table, and we believe in the power of food to open minds, spark adventure and bring diverse people together.